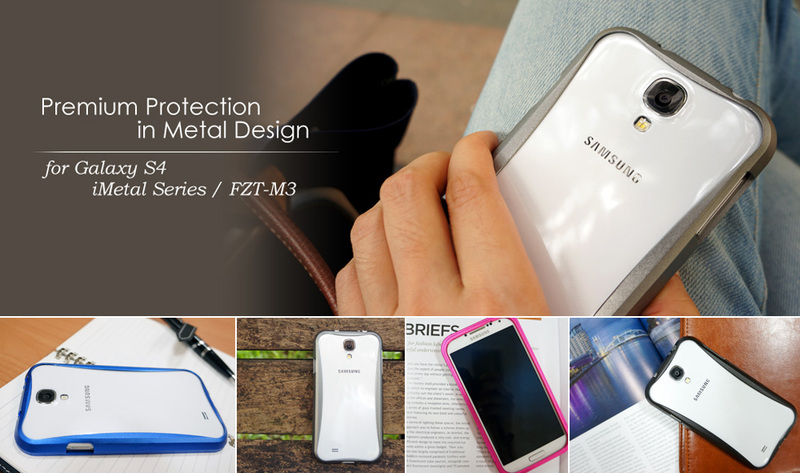 Taipei, Taiwan –FZtech, a manufacturer and supplier of cutting edge and high quality products, is pleased to announce the new collection of iMetal series – Premium bumper for Samsung Galaxy S4, FZT-M3. The protective metal bumper is made of solid aluminum by precision CNC craftsmanship with anodized finish – the high level surface finish, offering the comprehensive protection for Galaxy S4. 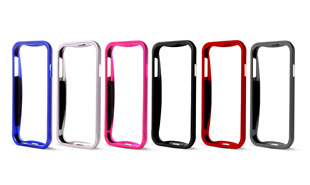 Metal bumper FZT-M3 is lightweight, ultra-thin and stylish. It is easy installation by easily slide in and slide out the clip, and then Galaxy S4 can be safely place on the bumper. With the simple & elegant design by FZtech, FZT-M3 offers 6 color choices, including black, shadow, silver, red, pink and navy. iMetal Series will be available in Taiwan, Singapore and Thailand. FZtech welcomes enquiry from global distributors, retailers and wholesalers. For more information please visit FZtech online.